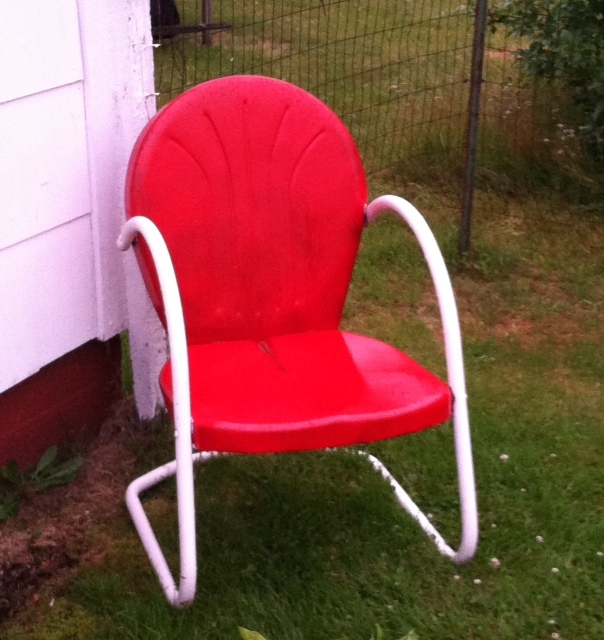 I’ve posted a picture of this chair before. This past weekend I noticed it wasn’t in its usual place, but I thought Uncle Bob had moved it to mow the lawn. Then Uncle Bob came out and confessed. He told me he had moved the chair into the shade one afternoon and sat there eating freshly picked peas. No wonder he thinks we should plant not one, not two, but THREE rows of peas next year. This entry was posted in Minimalist and tagged Amish snap peas, pregnant peas, the last post about peas, Uncle Bob at rest. Bookmark the permalink.